4153001 WF22A-2 KOMATSU WF22A-2 Trash compactor. Spare Parts Catalog. Service (workshop) Manual. Operator's Instruction Manual. 4153002 WF22T-2 KOMATSU WF22T-2 Trash compactor. Spare Parts Catalog. Service (workshop) Manual. Operator's Instruction Manual. 4153003 WF450-1 KOMATSU WF450-1 Trash compactor. Spare Parts Catalog. Service (workshop) Manual. Operator's Instruction Manual. 4153004 WF450-1A KOMATSU WF450-1A Trash compactor. Spare Parts Catalog. Service (workshop) Manual. Operator's Instruction Manual. 4153005 WF450-3 KOMATSU WF450-3 Trash compactor. Spare Parts Catalog. Service (workshop) Manual. Operator's Instruction Manual. 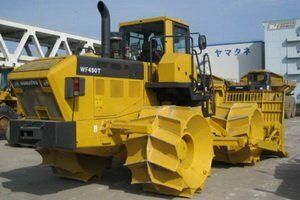 4153006 WF450T-1 KOMATSU WF450T-1 Trash compactor. Spare Parts Catalog. Service (workshop) Manual. Operator's Instruction Manual. 4153007 WF450T-1A KOMATSU WF450T-1A Trash compactor. Spare Parts Catalog. Service (workshop) Manual. Operator's Instruction Manual. 4153008 WF450T-3 KOMATSU WF450T-3 Trash compactor. Spare Parts Catalog. Service (workshop) Manual. Operator's Instruction Manual. 4153009 WF550-3D KOMATSU WF550-3D Trash compactor. Spare Parts Catalog. Service (workshop) Manual. Operator's Instruction Manual. 4153010 WF550A-3 KOMATSU WF550A-3 Trash compactor. Spare Parts Catalog. Service (workshop) Manual. Operator's Instruction Manual. 4153011 WF550T-3 KOMATSU WF550T-3 Trash compactor. Spare Parts Catalog. Service (workshop) Manual. Operator's Instruction Manual. 4153012 WF600T-1 KOMATSU WF600T-1 Trash compactor. Spare Parts Catalog. Service (workshop) Manual. Operator's Instruction Manual. 4153013 WF650T-3 KOMATSU WF650T-3 Trash compactor. Spare Parts Catalog. Service (workshop) Manual. Operator's Instruction Manual. 4153015 CS210-1 KOMATSU CS210-1 Crawler stabilizer. Spare Parts Catalog. Service (workshop) Manual. Operator's Instruction Manual. 4153016 CS360-1 KOMATSU CS360-1 Crawler stabilizer. Spare Parts Catalog. Service (workshop) Manual. Operator's Instruction Manual. 4153017 CS360-2 KOMATSU CS360-2 Crawler stabilizer. Spare Parts Catalog. Service (workshop) Manual. Operator's Instruction Manual. 4153018 CS360SD-2 KOMATSU CS360SD-2 Crawler stabilizer. Spare Parts Catalog. Service (workshop) Manual. Operator's Instruction Manual. 4153020 GS360-1 KOMATSU GS360-1 Wheel stabilizer. Spare Parts Catalog. Service (workshop) Manual. Operator's Instruction Manual. 4153021 GS360-2 KOMATSU GS360-2 Wheel stabilizer. Spare Parts Catalog. Service (workshop) Manual. Operator's Instruction Manual.